After noting that it would be taped for a Network special, WWE has revealed when the Worlds Collide tournament that's taking place at Royal Rumble Axxess will be airing. The tournament will be held across three sessions at Royal Rumble Axxess in Phoenix, Arizona this weekend. Matches from the opening rounds will then air on WWE.com, WWE's app, YouTube, Facebook, and Twitter starting at noon Eastern time on Saturday, February 2. The WWE Network special will begin at 8 p.m. Eastern on February 2. The Network special will include the battle royal to determine the seeding for the tournament (based on elimination order) and matches from the later rounds, including the final. The winner of the battle royal will get a first-round bye. 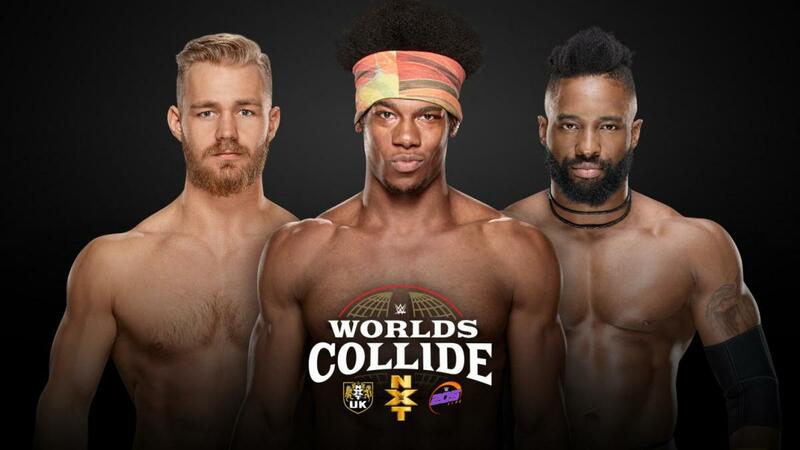 The 15-wrestler Worlds Collide tournament features participants from NXT, NXT UK, and 205 Live, with WWE promoting that the winner will receive a title shot of their choosing on either of those brands.